How will the playbook help me and my business? We believe that you need to plan to get the most from social media marketing. Our social media planning checklist will help you review your current approach to social media and manage your organic social media updates as well as paid social advertising in a more effective manner. We cover strategy and tactics in much more detail in our other guides on each social network, but this template gives you a top-level view of the key activities you should focus on. Today many companies are using social media tactics by posting updates to Facebook, Instagram, LinkedIn, Twitter and YouTube. But to make the most of the fantastic opportunity of social media and manage the threats, a plan will help you build a communications strategy, content strategy and editorial plan so that your social communications give you the results you need. 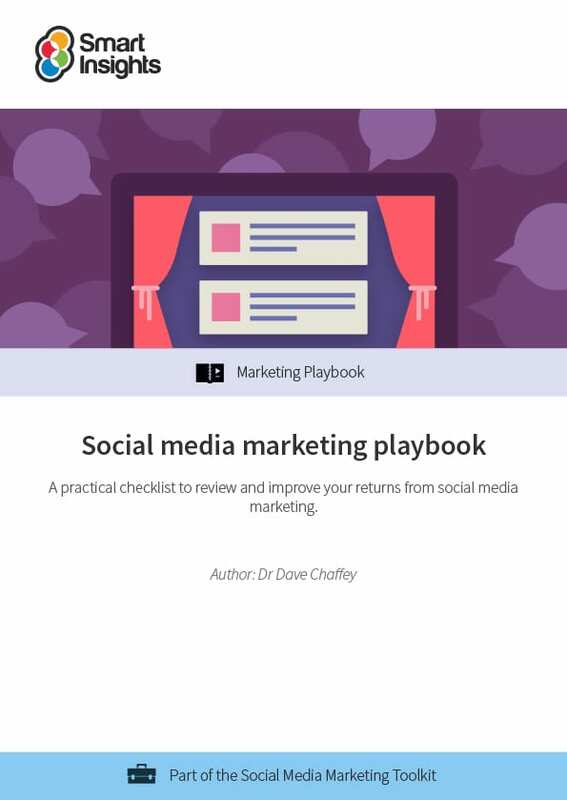 What does the social media marketing playbook cover? Related resources: See our Social media marketing hub for all the guides and templates used by premium members to create a social media strategy and guides to best practices for all the main social media networks.